3 on the schedule today...done! The fine folks over at Ibex were kind enough to send me a couple of their running items to test and review. They sent me a running shirt and also some running underwear. For those of you that don't know, Ibex Outdoor Clothing is a company that sells, what else, Outdoor clothing for both Men and Women. I received two items, the Ibex Woolies Boxer briefs(aka underwear) and the Zepher Sport long sleeve zip down shirt(baselayer). Both are made from Merino Wool. It's finally been cool enough in Michigan to start trying out these, especially since I'm running at 5am in the morning when it gets quite cold out. Both are base layers but Ibex sells several different types of layers(which they call Performance Categories) that they classify as Base, Peak, Live, Zing and Ride. The founder, from Vermont, started the company because he was a cross country skier in the 70's and the wool performed so well; however, he determined to make it better. And that he did! Another great fact, over 70% of the products they make are made here in the USA. Zepher - We developed our ultra-versatile, midweight 100% New Zealand Merino wool baselayer Zepher fabric using an interlock stitch. This simple, double knit stitch forms a fabric that offers high performance, great natural stretch and recovery. It's smooth surface enhances softness and layering ease. 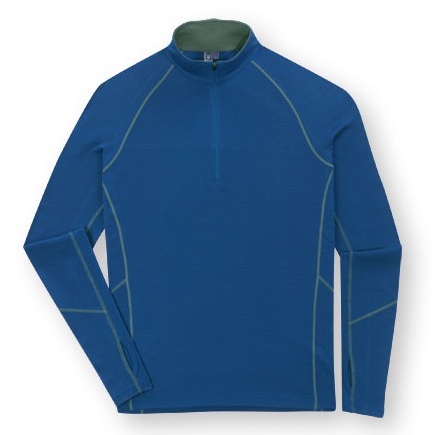 The fabric is "no stink," sustainable and machine washable and is the ultimate baselayer choice. I couldn't have said it better myself. Initially when I was researching the fabric, I thought to myself, "who wants to wear wool to run in?" It does not sound very comfortable, does it? Let me tell you that my first run I did in these, I could not believe it. 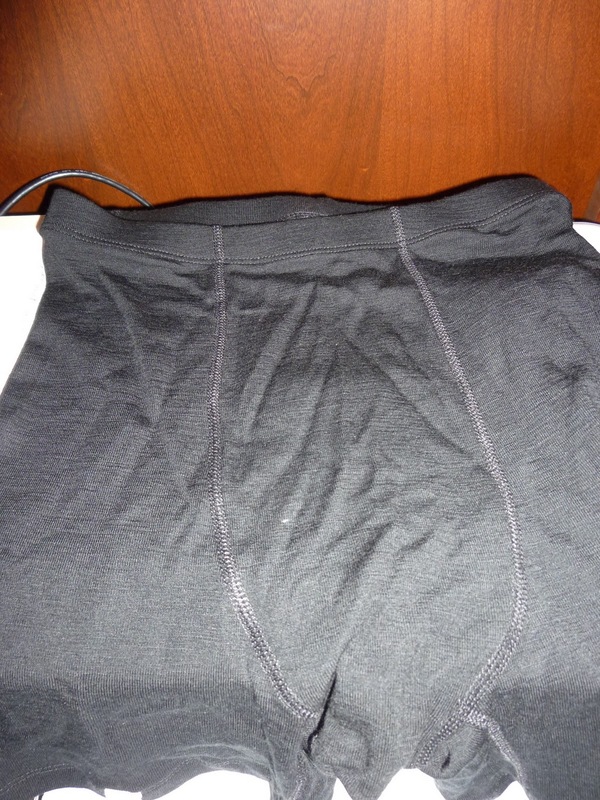 The material was so soft and comfortable but also very breathable as well so I didn't feel clammy like some materials. I felt nice and warm but not overly warm. You didn't feel like the shirt was sticking to you like you would think it would. Plus they are absolutely right, there is no stink to it like you get from polyester. I'm sure you know what I mean. Yuck! The quality of the shirt is also incredible. This is actually a shirt I could see myself wearing not only for running but just wearing when out and about. I thought I looked pretty good in it and most companies do not make clothes that fit me well. Give me a break, it's 5am! 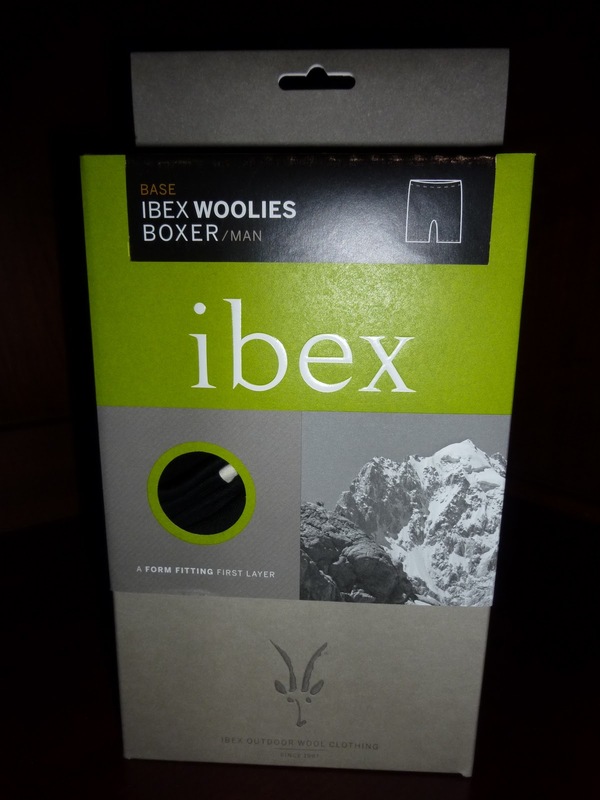 As I said, I also received a pair of the Ibex Woolies Boxer's. These also are a base layer of course! Sorry but I'm not modeling these off to you but here's a picture taken from their website. I wish I had abs like that though! Again, the wool keeps you comfortably warm as well. This is especially important for us guys in winter. While I have not run with these in the warm weather, I have read some of their reviews from other buyers that these are great in hot weather as well. Here a picture of me trying to show you that these are really thin material(you can see my hand through this) so using them in hot or cold weather is perfectly fine. Personally these will be used quite frequently in the wintertime and it will be nice to have a little more warmth down there for those really cold days. These also were true to size. One thing to note is that Ibex's clothes are not low quality so the prices are a bit steep but I have to say that so is most good quality running clothes. I would suspect that both of these items will last for a very long time and would be a staple in your running gear for many years. I am pleasantly surprised by how a light wool can keep you so warm. If you are an outdoor runner, then you will be glad that you have some clothes like this to keep you warm in the middle of that winter blizzard that we all know is right around the corner. The company sells to dealers all across the company and also has their own stores including a Flagship store in Boston. Whenever I vacation at Boston, I'll be definitely making a stop at their store! So check out their great stuff. You will be happy to be outside this winter wearing anything made by Ibex. Question of the day: What do you run with in cold weather? This will be my 1st year running in cold weather so I will be coming back to see what others are wearing for good advice. It's going to be in the 80s this weekend, stop with the cold stuff! LOL I would have said that was me in the photo of the briefs! shortgirl - I was pleasantly surprised with wool.